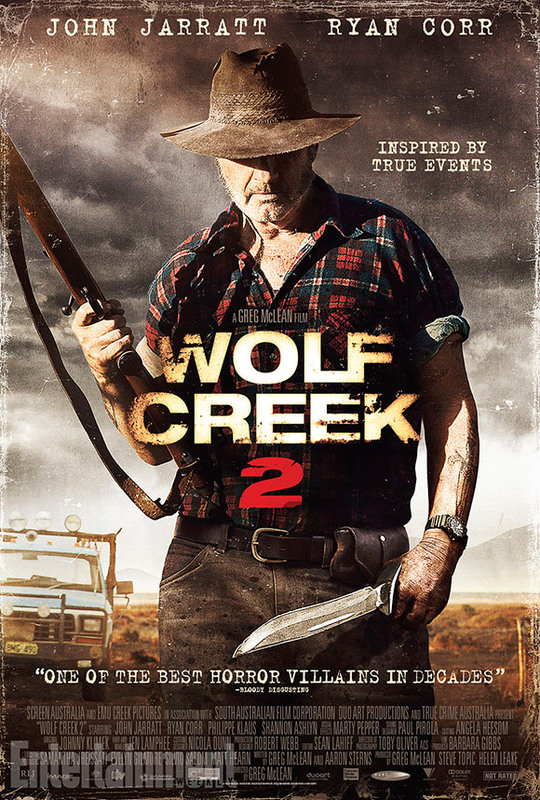 Just when you thought it was safe to venture into the Australian outback, Mick Taylor (John Jarratt) is back for Wolf Creek 2! The original Wolf Creek (2005) was a dark, shocking and brutal piece of work and one of the most effecting horror films we’ve seen. This time round director and writer Greg Mclean changes pace, the result is a more mainstream and uptempo movie. Actor John Jarratt is still incredible as Mick Taylor and he is equally terrifying in this movie. While we applaud Greg Mclean for trying something different with Wolf Creek 2, it just wasn’t as scarey or disturbing as it maybe could have been. That said Wolf Creek 2 is a good solid horror movie with plenty of blood, violence and gore and Mick Taylor most certainly now has a place in horror villain royalty.